These days I’m in Mumbai, and as I entered here while coming from Delhi I found almost every slum house on the way fitted with Airtel DTH. That’s some awesome thing, isn’t? DTH subscribers are over 20 Million now and guess what? It added 10 million subscribers during 2009-2010 i.e. adding half of it’s 5 year total during last year. It’s growth is amazing and everyone from Broadcasters to Subscribers are loving it. Be it the innovations like- HDTV, Digital Dolby, Record via Mobile, Pause live TV or the content- interactive TV, Movies on Demand, people seem to praise every thing about DTH. And thanks the competition, prices are coming down almost every day. The advent of new wireless access technologies like 3G & BWA will make it possible for customers to experience the true power of two-way interactivity even on DTH. Companies like Airtel, Tata and Reliance can actually take true advantage of being in both DTH and Telecom industries and acquiring costly 3G spectrum. Wireless is the only solution to connect whole of India and TV can be a medium of choice to connect to internet for those who have never used a physical computer. Imagine the day when you can connect to internet just by attaching a mouse and keyboard to your Television! 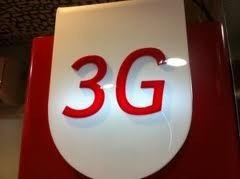 Let’s see how fast these companies implement 3G technologies over DTH to enable 2-way interactivity which will not only enhance TV viewing experience but will also connect millions of Indians to broadband internet. Do you think DTH can achieve what TRAI has been saying but couldn’t achieve till now- 200 Million broadband users? 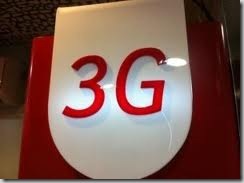 "DTH+3G: Can it bring the next big revolution? [Media Monday]", 5 out of 5 based on 1 ratings. Videocon’s innovative ‘Zero p/sec’ tariff plan ! !